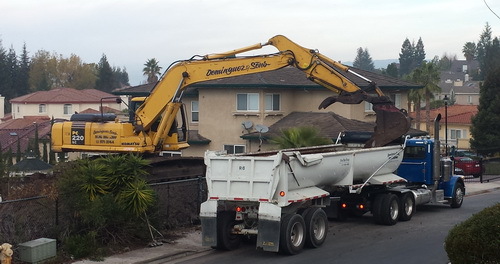 Services – Dominguez & Sons Trucking, Inc.
Dominguez & Sons Trucking, Inc.
Dominguez & Sons Trucking, Inc. has been a valued partner with construction and major recycling companies providing a multitude of services to get the job done right and on-time. Our company offers fast dispatch for a full range of tractor-trailer vehicles and hauling trailers manned by well-trained and safety-conscious drivers. Our equipment are operated by seasoned professionals. Call us today for a free quote at 1-408-971-3744.